A well built trail stands the test of time and enables generations to experience the great outdoors. 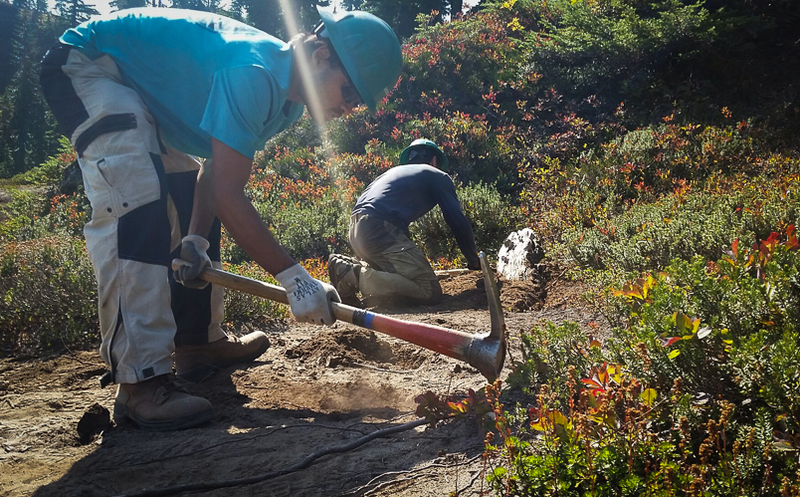 EarthCorps designs, constructs, and maintains front and backcountry trails, according to industry and/or partner agency standards. Projects range from drainage structures to extensive boardwalks, along with new trail construction, turnpikes, and puncheon bridges. EarthCorps not only completes high quality trail projects but accomplishes them with minimal impact to the land.